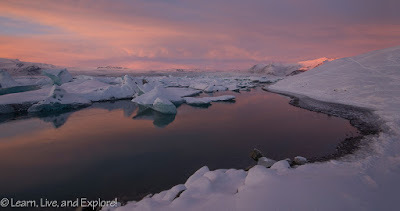 Remembering Ten Years Ago ~ Learn, Live, and Explore! The origin of this blog idea, to visit all of the memorial sites dedicated to the victims of September 11, 2001, came in August when I was driving around Pennsylvania going from a bachelorette party at Penn State to a wedding at Nemacolin Woodlands Resort in Farmingham, PA. I was taking a different road back to the PA Turnpike just for change of scenery. As I was driving along, I saw a brown sign that indicated the Memorial for Flight 93 in Shanksville was at the next exit. In the spirit of road trips I've done in the past, I pulled off and started to follow the signs. 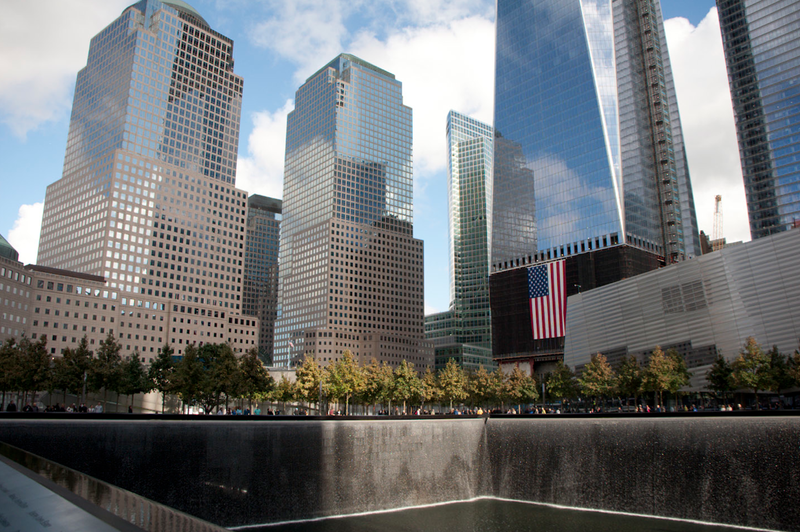 The Memorial, itself, was not built, as they are still raising funds, but preparations were being made for the President's planned visit on the 10-year anniversary of Sept. 11. With nothing much to view, it was amazing to me how many people I saw that drove out of their way, like myself, to visit the site and its small makeshift museum to the victims, the events of the day, and the subsequent investigation. 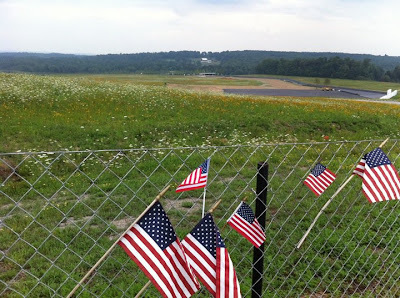 Shanksville was very important for investigators because it was the only resource for flight data recorders. 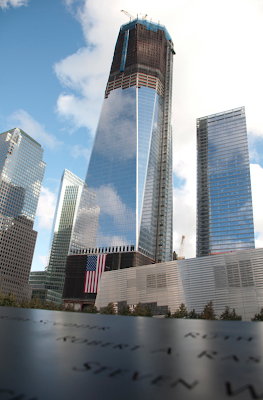 During my trip to New York in October, I made it a point to reserve tickets to visit the newly opened World Trade Center Memorial. 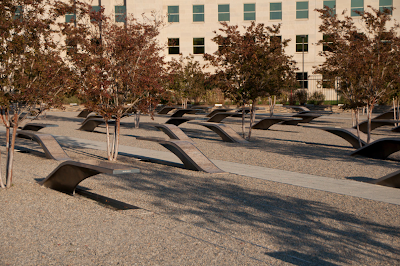 For security purposes, you are required to get tickets in advance through the memorial's official website, but they are free. 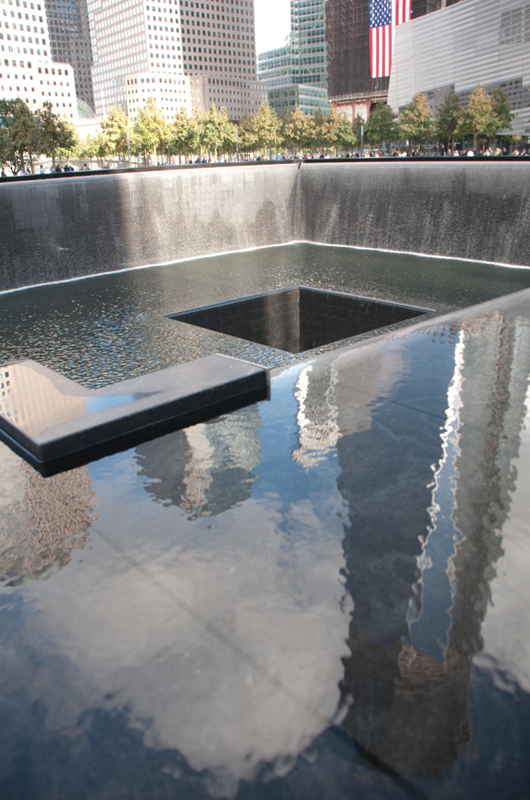 The memorial was very tastefully done, with the two water features occupying the former foundations of the twin towers. I loved how the water reflected the progress of the rebuilding efforts. The new 1 WTC exterior is over half way complete, getting closer to its 105 floors and symbolic 1776 feet goal. The site looks magnificent and demonstrates, through its design, the strength and resiliency of NYC and the US. I loved the fact that the new 4 WTC being built included, in its design, a reference to the vertical aluminum alloy beams on the twin tower facades. The museum, unfortunately, was not complete when I visited. I suppose it is an excuse to return. Though I live within walking distance of the Pentagon, I have not been over there to see the completed memorial...until today. 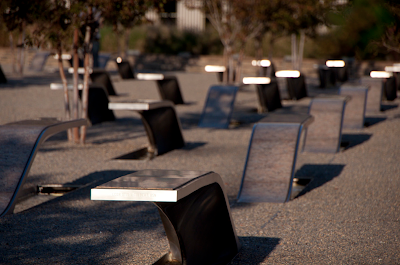 The benches were thoughtfully designed to indicate the location of the victim that morning. While reading the name plaque, you should be able to look up and see either the Pentagon or the sky (for the passengers). Ten years ago, I had just moved to Washington DC a few weeks prior to September 11th. At the time, I was overwhelmed by how surreal that day was, watching the smoke at the Pentagon from the roof of my hotel in DC. But no matter how I tried, I just could not find an emotional connection to the event because I didn't feel like DC was my home, and I did not know anyone in NYC nor had I been to the WTC. I also felt that I was not being genuine adopting someone elses' actual pain or experience as my own. 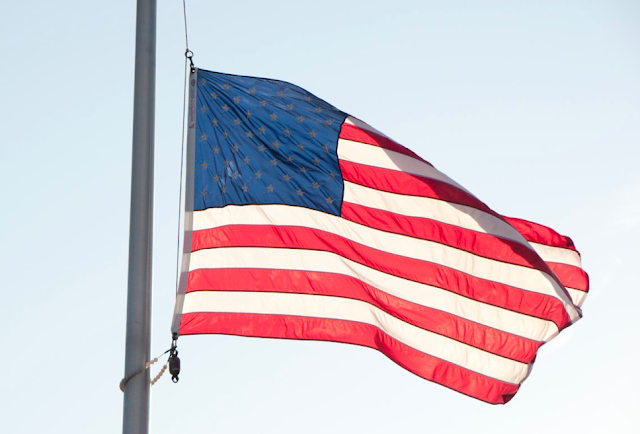 It's interesting, now that time has passed and so much has changed, I've finally developed an emotional response to that day, and I'm so proud of all we, as a country, have accomplished to overcome what happened, persevere, and make things better. And I'm happy that I was finally able to pay my respects, this year, to the people who lost their lives that day. And now, I must go rent a copy of "Team America" by the creators of South Park, just to hear the theme song.